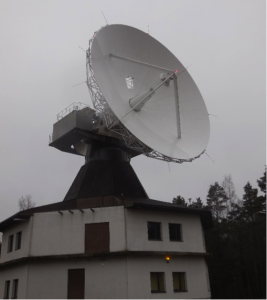 Located in the woodland in Irbene, near Ventspils city, Latvia, the Irbene observatory was originally founded in late sixties as a secret Soviet military space centre. It originally consisted of a 32-metre telescope, along with two smaller telescopes and a communications centre, and was known as Zveolsdoshka, meaning “Little Star. It became a scientific research facility only in 1994 as part of the Latvian Academy of Sciences, before becoming a part of Ventspils University College. Now it is now known as the Engineering Research Institute “Ventspils International Radioastronomy Centre” (ERI VIRAC) of Ventspils University College (“Ventspils Starptautiskais radioastronomijas centrs”) or the Irbene. Currently, Irbene radio observatory operates two fully steerable radio telescopes which were refurbished in year 2016 – RT-32 and RT-16 with diameters of 32 and 16 meters respectively. 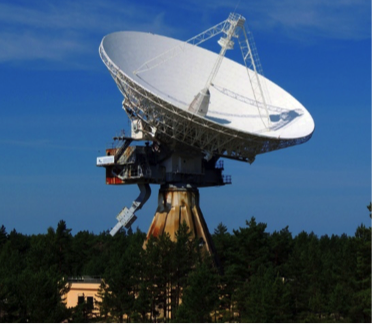 The main operating frequency bands are C, M, X and L bands, which are available for VLBI and single dish observations. Research programs: Very Long Baseline Interferometry, Solar specro-polarimetric observations, methanol maser spectral line observations, ionosphere research.